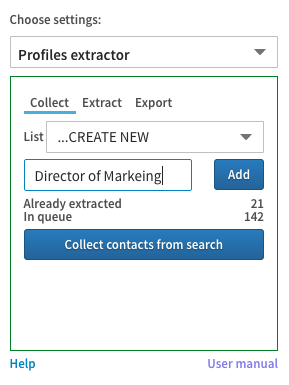 By Linked Helper you can export your LinkedIn contacts to CSV File. Furthermore, you can build targeted mailing list. Go to “Profiles extractor” settings. By default, you will see list named “ALL”. 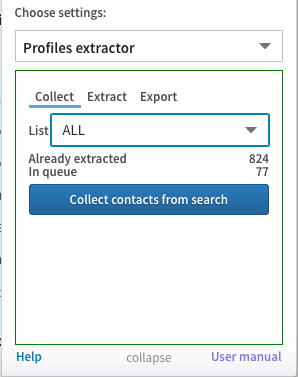 This list collects queued and extracted profiles from all other lists. 3. Go to search page. Set your search filters. Set Relationship: «1st Connections»; And press “Collect contacts from search”. After this Linked Helper will go through all search results and — pull all contacts in queue. 5. Go to “Extract” tab and click “Extract collected profiled”. Program will go through queued (collected) profiles and stores them into your browser memory. 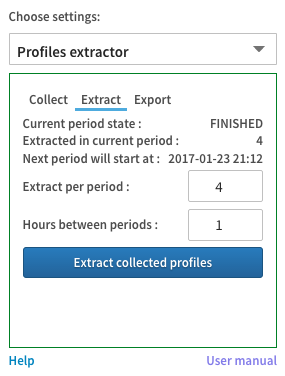 My recommendation is extract 150 profiles per period and set 24 hour between periods. 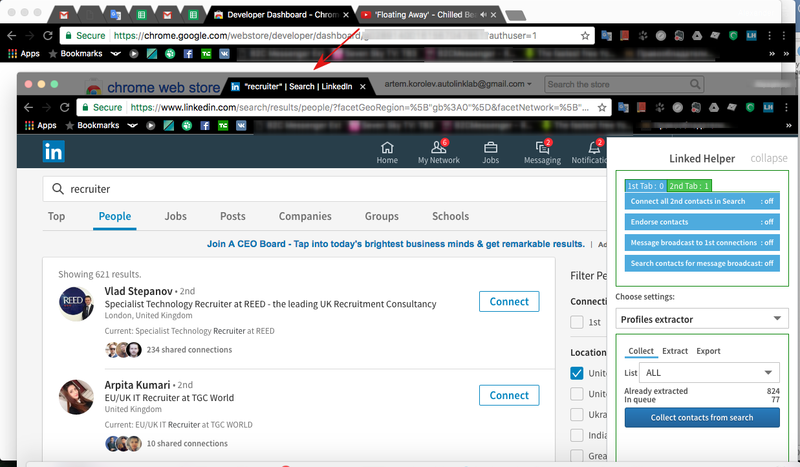 Linked Helper will continue its work automatically in the same tab. 6. 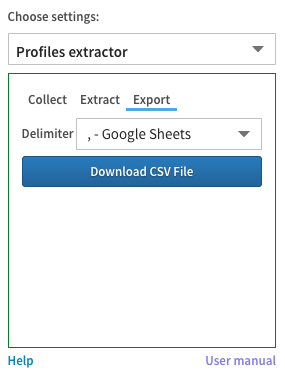 Go to “Export” tab and click “Download CSV File”. By default CSV file will be created compatible with Google Sheets, but you can switch to MS Excel format (not recommend for profiles in other languages).